"Grandma has been wanting a new pickup. Found the perfect one at Andrade Auto Exchange. Edgar was very helpful and profesional. Would definitely recommend Andrade." "I was very pleased with my experience here at Andrade. Edgar was very helpful and professional." 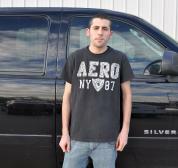 "I had a wonderful experience with the guys at Andrade Auto Exchange. Every time I went in everyone was very patient when I was test driving cars and asking questions. They found me the perfect car within a short amount of time. I am extremely pleased and happy I chose this car dealership!" 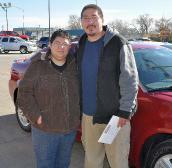 "This was my first time buying a new car and Edgar made it easy. He took time and was patient. He is awesome! I recommend everyone to come here!" "Tony with Andrade's is an awesome person to deal with, takes his time to explain the vehicle and always works with us to get us the best price. I will go nowwhere else for my rides, We've bought 4 from him now." 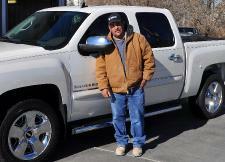 "Edgar did a fantastic job of explaining details about various vehicles before I drove anything. He was very polite and courteous. Very knowledgeable regarding different financing options. I would gladly buy another vehicle from him. Plus all the staff was very polite and friendly." 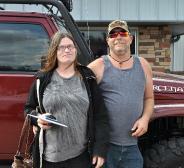 "I've never bought a vehicle from anyone else. Andrades has always worked hard to give me great service, and they have been willing to go out of their way to meet my needs." "Edgar Urias was our salesman. Edgar was very informative, polite and professional. He met our needs and standards. Thank you Edgar." "I would like to thank you and the staff for your service here at Andrade. They were very pleasant and made every way possible to please us in the cost of vehicle to making sure that we purchased the one that we wanted. 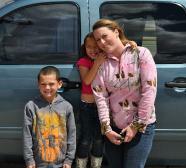 I would recommend Andrade Auto Exchange to our friends, family, or anyone." "Great service! very polite and generous. Edgar Urias is someone I definitely recommend to go to. 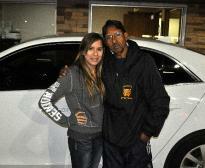 He is a hard worker and helped me in anything I needed for my car." 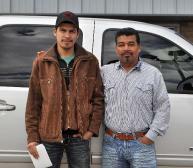 "Edgar and the staff at Andrade Auto Exchange were very helpful in the purchase of my first car. They answered all my questions very quickly and made the transaction easy for me. I highly recommend Andrade Auto Exchange if you are looking for a used vehicle!" 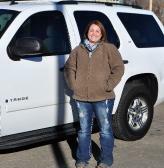 "When looking for vehicles, i want a friendly, honest, reliable dealership. After searching for the right vehicle, we found it here at Andrade Auto Exchange. Tony did a great job at getting us home in our dream truck. Thank you Andrade and Thank you Tony." 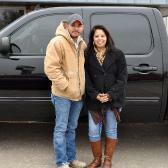 "We've had several buying experiences and none compare to our experience with Andrade's. It took us several weeks to find just the right car, but our sales associate, Edgar, worked tirelessly to find the perfect car. Our questions were always met with answers and we were well taken care of. We appreciate all the time and work put into our personal buying experience and we will always come back to Andrades when we're in the market for a new vehicle. Highly recommend them with no reservations." "As a first time buyer they made it really easy and explained everything so I understood it. I look forward to working with them in the future." " Love it, did everything possible to help me out. Great customer service, looking to do future business with them." "We were treated great. It is great customer service. Thanks!" "I got what I wanted, and at the prices I could afford. Great customer service!" "Estoy contento por la atencion personal de sus vendedores (Edgar Urias) es mi primera compra y estoy satisfecho con su atencion." "Quick, fair and efficant service! very friendly." 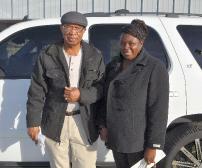 "Very quick service, received the car in the same day we applied for it. Very beautiful car, great customer service!!" "Edgar was great! Great with the customers and work hard to get into a good car!" "Treated with respect and answered all my questions". 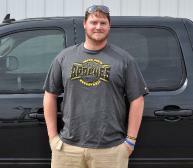 "My Experience at Andrade Auto Exchange was great, the staff is really nice and helpful. I'm a first time buyer and they explained everything step by step. The detail on my car was great. I will be back for my next purchase, come see Edgar Urias for your next buy." 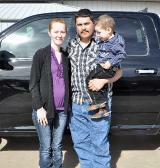 "Our experience at Andrade Auto Exchange was fun! Edgar Urias made us feel like special customers and treated us like family. We will be repeat customers!" "I had a good buying experience here at Andrade's. He was good at explaining all the paperwork and was a nice guy. Hope to keep buying from you all in the future." "Here at Andrade Auto Exchange, I was treated really well and the staff worked eagerly to help me get the vehicle I was satisfied with!" "Es mi tercer compra y nos tratan muy bien. Les recomiendo a Andrade Auto Exchange!" 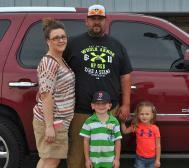 "My wife and I have been looking for a newer vehicle for awhile. We looked at several dealers and Andrade's gave us our best option. The staff is very friendly and prompt on helping our/customers needs. Tony is a great person and was very helpful. BEAUTIFUL CAR BY THE WAY!" "Tuvimos una amable y buena atencion de parte del vendedor." "Es mi primera vez que vengo a esta agencia, la persona que me ayudo Edgar Urias fue muy atento me explico todo me dio opciones, me ayudo mucho para tener mi primer carro. Muchas gracias." "Thank you again for a good experience with Andrade. Carlos was very courteous and respectful. They all worked together to make the sale as pleasant as possible when you break the bank." At Andrade Auto Exchange we are proud of the quality used cars we sell and our dedication to serve the needs of our customers. This is reflected in the amount of repeat business we receive. Whether this is your first purchase with us or one of many that you’ve had, you can count on our dedicated sales staff to make it the best buying experience possible.